I wrote this post while participating in a blog tour conducted by Clever Girls Collective on behalf of Children’s Claritin®. I have been compensated for my time commitment to the program. I once visited a doctor who took one look at me and said, “So, you had bad allergies as a kid, huh?” He laughed at my surprise and said, “You have the tell-tale crease across the middle of your nose, from too much rubbing when it was itchy.” Well, it’s true. I was a mess as a kid. I was allergic to pretty much everything outside and a whole lot inside as well: grass, pollen, trees, weeds, dust, feathers, cats, dogs…. I still am quite allergic, and Austin has a seemingly endless supply of those pesky allergens. That’s the price we pay for our beautiful, warm winters, I guess. For years, I tried to ignore my allergies, because I’m actually very good at functioning while sick. But what I can’t take is being tired all the time. And allergies really wipe you out. It took a concentrated effort, but I finally found a good specialist and got myself sorted out. Then, my two-year old son started coughing. And coughing. All night long. All week long. All month long. For five years, we took him to doctors and specialists, tried different medicines and treatments, but that cough would always come back. Childhood allergies are trickier to pin down than the adult variety, we learned. 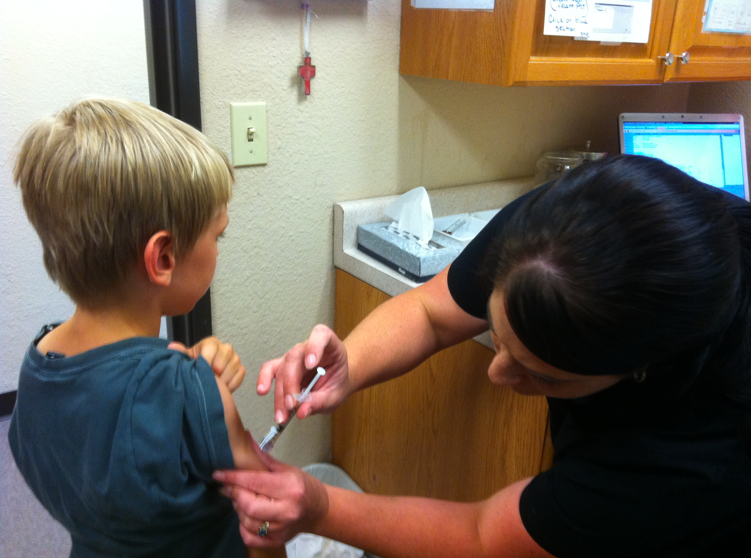 My son is eight now, and we have a treatment plan that is working for him: a combination of medicine and allergy shots. He is allergic to so many things, he actually needs to have two shots at each visit. But, although he was not a fan at first, he has surprised me many times by looking forward to his shots. He’ll say, “I can’t wait till I get my shots tomorrow because I’ve been so itchy!” I think it’s pretty great that he can tell the difference the shots are making. I’m sure many of you also have children dealing with allergies, possibly year-round. What have you found that works for treating their symptoms? For more tips on relieving allergies, visit Facebook.com/Claritin. I was selected for this sponsorship by the Clever Girls Collective, which endorses Blog With Integrity, as I do.